TorkDrive® Series Direct Drives are normally supplied as kit motors comprising of a rotor and stator, which upon customer request, can also be delivered as integrated drive solutions. Due to the multi-pole design of the motor components, the Drives transmit high torques at low to medium rotational speeds. 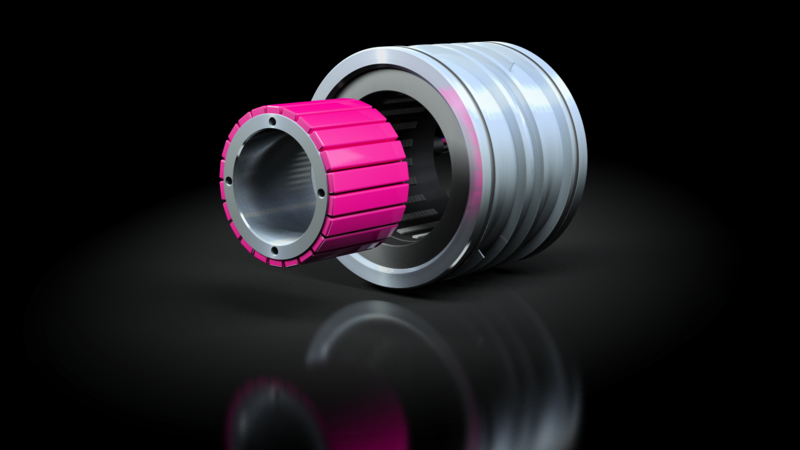 They are available in five sizes offering a maximum torque from 19 to 600 Nm. The large hollow shaft can be used to feed through supply lines or services for further drive axes. In the standard version, the Drives are designed for water cooling, thus increasing power density and minimising heat input into the machine.